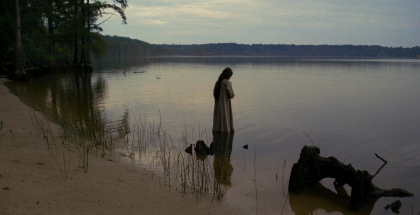 If you’ve followed this blog for a few years, you may have grown tired of my enthusiasm for Terrence Malick’s The New World. Deal with it. The New World is a remarkable love story in how it breaks the mold, how it casts off the burden of typical American romance stories and lunges in a bright new direction. The movie spends most of its running time drawing us into a sensual, flirtatious, seemingly innocent romance between a New World pioneer, John Smith, and a young woman called “Rebecca” from that New World. We watch the playfulness, the curiosity, the affection, the admiration. But then we watch Smith’s interests turn to something more self-interested: the ambition to make a name for himself as an explorer. And we see that Rebecca’s affection for him is something close to idolatry. It’s so easy to allow love to become distorted. It can become self-love: a desire to conquer for our own gain. It can become self-debasing: an elevation and worship of something or somebody less than God. Then the movie takes an unexpected turn: While we’re waiting for Smith to realize his mistake, or for Rebecca to pursue him, another man appears. This is John Rolfe. He’s a quiet man with reasonable ambitions. He’s a tobacco farmer (not the kind of character typically glorified in American romance stories.) And he comes to love Rebecca whole-heartedly. Instead of stealing away into the shadows for adventures in bare-skinned bliss, he has designs to marry her in a church wedding, remain faithful to her, and raise children with her. 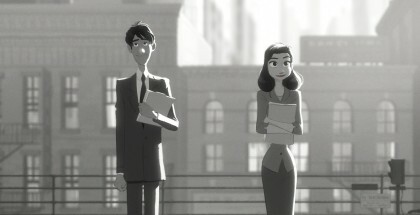 It may not have the rebellious spark of the first story, but it is a rebellious story nevertheless, one that dares to break with Hollywood convention and suggest that the greatest adventure — the boldest, bravest, most glorious — is one rooted in tradition, in community, in fidelity. When we see John Smith the Ambitious again, we can only feel sorry for him. He missed his chance at finding a home in the best of all possible New Worlds.